"With a shrewd mix of drama, insight, and objectivity, Perry artfully chronicles the life of the leader of the 'Untouchables' squad and illuminates his subject's complicated worldview, passions, and faults." Al Capone ruled Chicago throughout the Roaring Twenties. The police and politicians were in his pocket; rival bootleggers inevitably turned up dead. 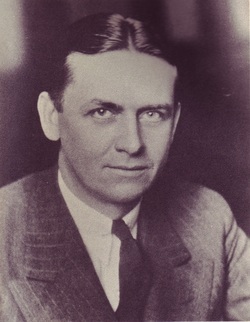 No one was beyond the powerful Mob boss's reach -- until a young Prohibition agent named Eliot Ness launched an unprecedented crime-busting squad, the Untouchables. Thanks to Hollywood, this story is well known. But the real story, while every bit as dramatic, isn't nearly so simple. In truth, Ness faced a war on two fronts: against Capone's army -- and against his own. Ness was incorruptible, but it turned out that not everyone on his team was, making his ultimate success all the more astonishing. More important still, the legendary Untouchables were just the beginning. After Capone's downfall, Ness graduated to an even bigger job as Cleveland's director of public safety. This part of Ness's life has been mostly forgotten by history, yet it was here that he truly earned his place among the most celebrated lawmen of the twentieth century. At the height of the Great Depression, the country's sixth-largest city hovered on the brink of chaos, wracked by labor strife and public corruption, trapped under the thumb of a violent criminal organization, and, on top of everything else, terrorized by a mysterious and brutal serial killer dubbed "The Torso Murderer." Set against the backdrop of a maturing country buffeted by endless turmoil, from the Prohibition era to World War II and beyond, Eliot Ness: The Rise and Fall of an American Hero captures Ness as he really was -- charismatic and preternaturally talented, but also depressive, a relentless womanizer, and even scandal prone. Utilizing newly uncovered government documents and extensive original research, this is the first book to chronicle the full, fascinating life of a true American hero.